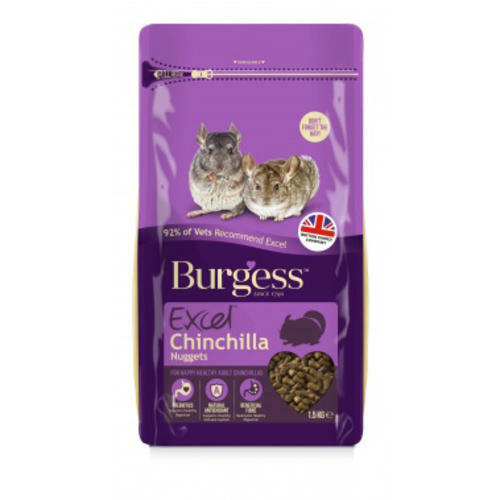 Burgess Excel Chinchilla Tasty Nuggets is a delicious, complementary food for chinchillas that is high in fibre and rich in vitamins & nutrients to help keep them running around and in tip top health. It also prevents selective feeding and has been made with an added prebiotic, vitamins and minerals for healthy goodness inside and out. Made only from 100% natural ingredients! Chinchilla Tasty nuggets are part of the Burgess Excel feeding plan, click the image below to see what the ideal diet for your pet might be.